A new buzz term that Medicare is starting in 2012 is that of an Accountable Care Organization, or an ACO. This option will appear for the first time this year and will act as a way to try to get insurance companies and healthcare providers on the same page. This is exactly what is needed to help curtail some of the healthcare debates of the last few years. What the Accountable Care Organization is supposed to do is improve care, cost and quality for health insurance customers overall. Primary care doctors can become a part of an ACO and make sure that they are on the same page as Medicare. This doesn’t mean, however, that you cannot see a doctor if they aren’t part of an ACO as you can continue to see who you want to. This means that you can see who you want to or you can try to support the process of Accountable Care Organizations by switching to one. Contact your doctor today to see if they plan on becoming part of an ACO. 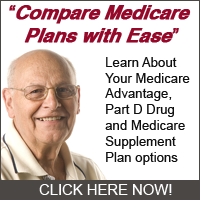 For more information, visit www.medicare.gov or call 1-800-MEDICARE (1-800-633-4227). TTY users should call 1-877-486-2048.